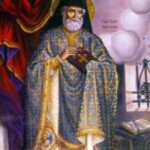 Greek: Άγιος Νεκτάριος Αιγίνης, Metropolitan of Pentapolis and Wonderworker of Aegina, was officially recognized as a Saint by the Ecumenical Patriarchate of Constantinople in 1961. His Feast Day is celebrated every year on 9 November. He served as a Bishop inCairofor one year, and was removed from his post by clerics who disliked his popularity with the people. Lies were made up against him by the jealous clergy. Patriarch Sophronios refused to listen to St. Nectarios. He was sent away fromEgyptwithout trial or explanation, and was never given an opportunity to defend himself. After his dismissal, he returned to Greece in 1891, and spent several years as a preacher (1891–1894). He was then appointed director of the Rizarios Ecclesiastical School for the education of priests in Athens, where his service was exemplary for fifteen years. He developed many courses of study, and wrote numerous books, all while preaching widely throughoutAthens. 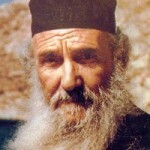 In 1904 at the request of several nuns, he established a monastery for them on the island of Aegina. The Monastery was named Holy Trinity Monastery. Nectarios ordained two women as deaconesses in 1911. Up to the 1950s, a few Greek Orthodox nuns also became monastic deaconesses. 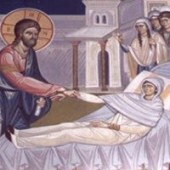 In 1986, Christodoulous, then the metropolitan of Demetrias, later to become archbishop ofAthens and all ofGreece, ordained a woman deacon in accordance with the “ritual of St. Nektarios” (the ancient Byzantine text St. Nektarios had used). 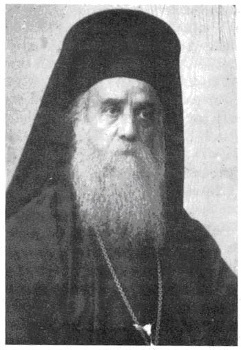 In December 1908, at the age of 62, St. Nectarios resigned from his post as school director and withdrew to the Holy Trinity Convent onAegina, where he lived out the rest of his life as a Monk. He wrote, published, preached, and heard confessions from those who came from near and far to seek out his spiritual guidance. While at the monastery, he also tended the gardens, carried stones, and helped with the construction of the monastery buildings that were built with his own funds. 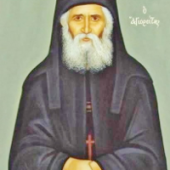 St. Nectarios died on the evening of 9 November 1920 (O.S. 8 November) at the age of 74, following hospitalization for prostate cancer. 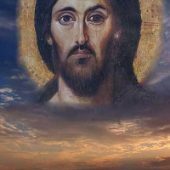 His body was taken to the Holy Trinity Convent, where he was buried by his best friend St Savvas of Kalymnos, who later painted the first icon of St. Nectarios. The funeral of St. Nectarios was attended by multitudes of people from all parts of Greece and Egypt. His anathema was not lifted by the Alexandrian Patriarchate until 1998. The relics of St. Nectarios were removed from the grave on 2 September 1953 and gave out a beautiful fragrance. Official recognition of Nectarios as a Saint by the Ecumenical Patriarchate of Constantinople took place on 20 April 1961. 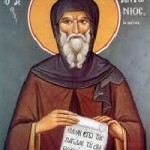 The Feast Day of St. Nectarios is celebrated every year on 9 November. 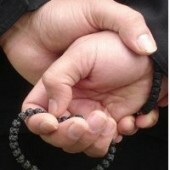 Thousands of miracles have been attributed to his intercession. Taking into account the resolution of the Church to rank Saint Nektarios amongst the saints because of his innumerable miracles and his acceptance within the religious conscience of Orthodox Christians throughout the world, we appeal to the mercy of the ever-charitable God. We hereby restore the ecclesiastical order of the Saint of our Century, Saint Nektarios, and grant to him all due credits and honors. We beseech Saint Nektarios to forgive both us, unworthy as we are, and our predecessors, our brothers of the Throne of Alexandria, for opposition to the Saint and for all which, due to human weakness or error, our Holy Father, Bishop of Pentapolis, Saint Nektarios, suffered. Pope and Patriarch of Alexandria and All Africa. How can I live according to Your commands in today’s world?